Camping Campania - Looking for campsites? Book online! 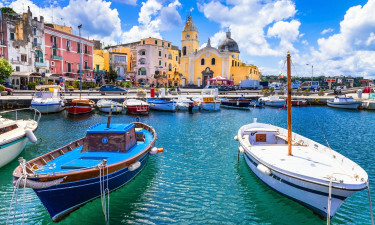 Home to such famous cities as Naples and Pompei, Campania is a region in the western portion of Italy famed for its stunning historical sights and picturesque coastline. There are a number of astonishing luxury camping sites here and to learn more, LuxCamp can be contacted for additional details. Why Should I Elect to Stay in a Holiday Camping Site at Campania? The iconic pastel-coloured buildings found upon the coast. An amazing history and culture. 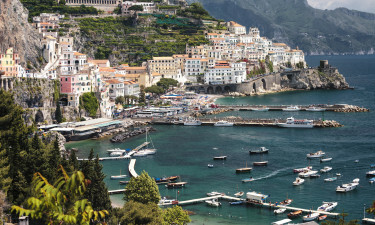 Campania is just under 14,000 square kilometres in size and is currently occupied by nearly 6 million residents. It has also been home to such varied cultures as the Greeks, the Romans and even some Norman tribes. This eclectic mix has enabled the entire region to boast an amazing sense of history alongside an excellent climate and a host of luxury camping resorts to enjoy. This holiday camping site offers its guests a choice of quality mobile homes located on well over 1,000 pitches. Visitors searching for camping luxury are provided with all of the most modern amenities alongside leisure activities such as swimming at a natural beach, volleyball, football and aerobics classes. Offering 350 pitches within no less than 50 hectares of land, the camping holidays to be enjoyed here are accentuated thanks to the presence of wireless Internet, snack food facilities, restaurants and an open-air pool. Nearby attractions include a sauna as well as an indoor pool which are both located only 3 kilometres away. This region is known for its coastline that stretches for more than 350 kilometres. 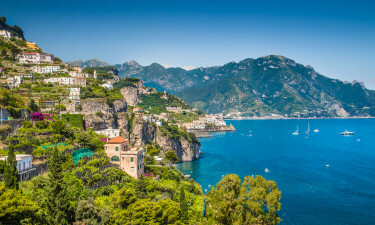 Some of the most famous ports in Italy such as Naples and Salerno can be found here. 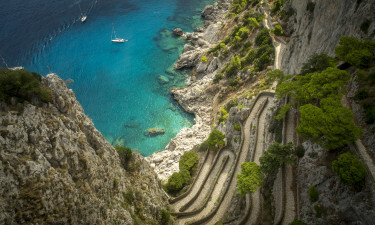 Not only are the beaches phenomenal, but Campania is also home to Mount Vesuvius as well as other impressive terrains. It is possible to enjoy some truly unforgettable panoramic views here. Notwithstanding Mount Vesuvius, the Amalfi Coast is quite popular with tourists due to its pastel-coloured homes. Other sites worth mentioning include the church of Santa Chiara, the Royal Palace of Naples, a cave-like structure known as The Blue Grotto and the Roman ruins of the Temple of Jupiter. 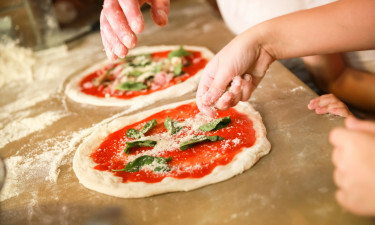 Like many regions along the shores of the Mediterranean Sea, the diet here is heavily based around fresh fish, locally harvested vegetables and organic meats. Campania is also famous for a type of wine known as Falerno; thought to be one of the oldest in the entire country. The locals here are very friendly and they normally welcome tourists. It is therefore a good idea to venture outside of any luxury camping site to experience what this culture has to offer.